This traditional candy (mithai) is entirely on South Asian restaurant menus around the planet. You can create your gulab jamun with just a couple straightforward ingredients you probably already have on hand at home. The name gulab jamun recipe means roughly"rosewater berries." The berries are chunks of milk solids mixed with oil or ghee, salt and a very little flour and lightly roasted until they become a reddish brown. The milk balls get a good beverage in a syrup that is simple that is rosewater-scented. Bring the water, lemon juice and rose water to boil in a small sauce pan over medium-high flame, stirring to dissolve the sugar. Let boil, without stirring, for about 10 to 12 minutes until the syrup will be somewhat reduced. Remove from heat and set aside to cool. Mix the milk powder, flour, baking soda and salt together in a large bowl. Add the oil or ghee and mix into the dry ingredients until well blended. Next stir in the yogurt or milk just a bit at a time until the ingredients form a dough that can be shaped into balls. Use hands on hands to shape balls the size of large marbles (approximately 3/4-inch in diameter) with no cracks in the surface. Work a wee bit more yogurt if you obtain cracks or milk into the dough. You should get about 12 balls. Heat 1 inch of oil in a saucepan, skillet or wok over moderate flame. This oil's temperature should be approximately 150°F. Any hotter and the jamun can burn on the outside before they are cooked in the interior. Insert the chunks a few at any given time into the oil and cook until they turn into a on all sides. Remove the jamun that are finished to a tray to cool. Once the jamun have cooled, put them to the pan with all an syrup. Enable the balls boil for at least two hours and prepare tender. They can float but they are going to begin to remain submerged since the sugar is absorbed by them. To serve, put two or even three of the jamun into small serving bowls and spoon some of the syrup over them. 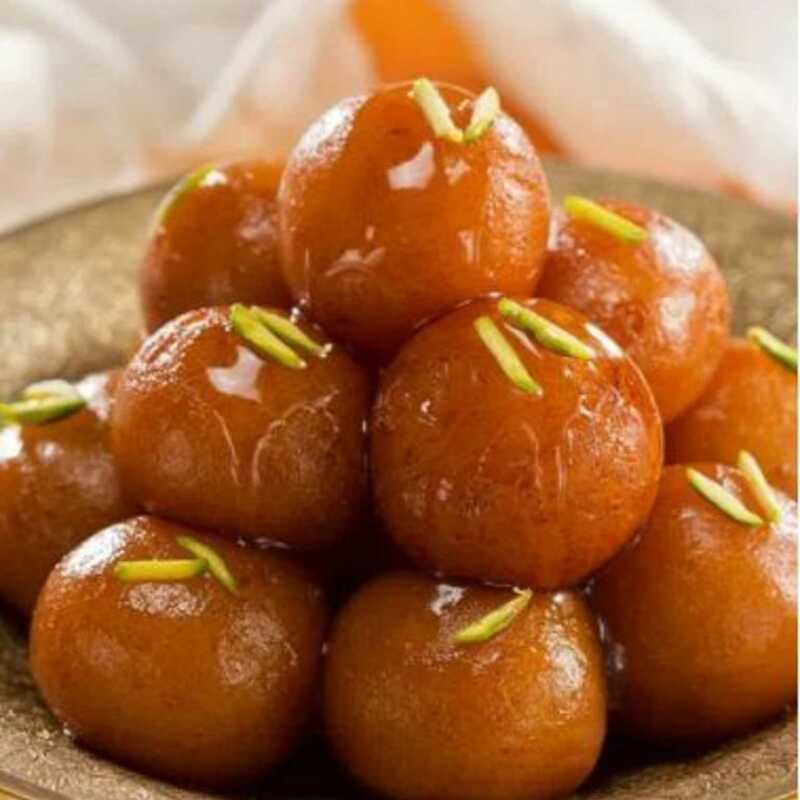 Garnish if desired (see variations) Gulab jamun may be served cold, at room temperature or warm.